We spent most of our time in Grenada by the beach looking at the turquoise sea and listening to the waves. 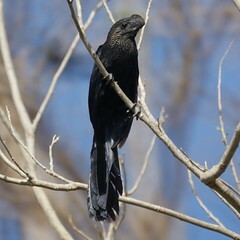 One afternoon, Mike saw a group of unusual birds with large bills in a tree on the hill far above our cottage. He recognized them as Anis from our bird books. We decided that the next afternoon, we'd walk up the road to get a closer view. 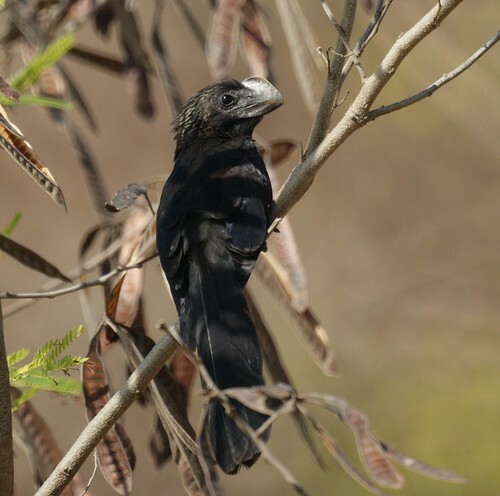 Just as we were about to leave the next afternoon, a group of Smooth-Billed Anis flew down to our cottage. That was very nice of them, and we got to hear the funny little noise they make too. 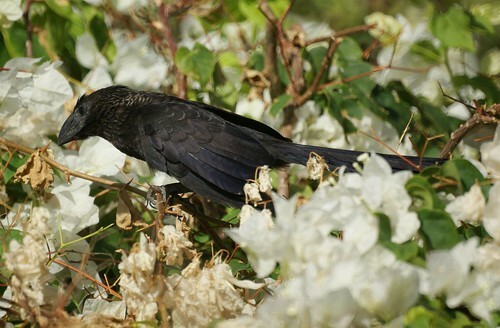 The Anis hunted in a group among the Bougainvillea shrubs for geckos. We saw one make a successful catch and move to the ground under a tree to enjoy lunch. We offered to get him a rum punch to go with it, but he declined. 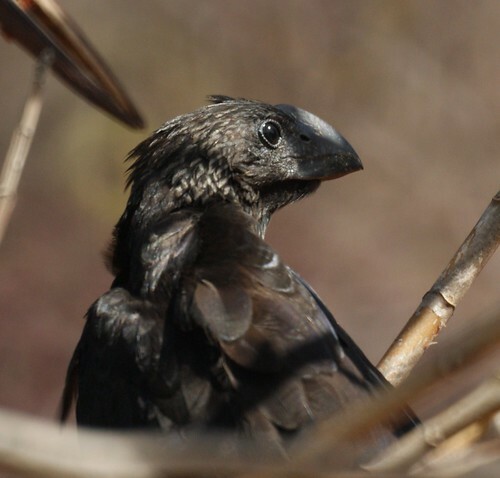 We learned that the Smooth-billed Ani lives in small groups of one to five breeding pairs and all group members incubate the eggs and care for the young. 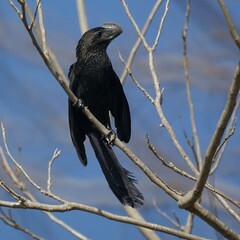 One member of a Smooth-billed Ani group often sits on a high perch and watches for danger while the rest forage. We witnessed this behavior before we did the research, and Chris was sort of speculating that one seemed like the "leader." For such an awkward looking bird, we were very surprised and impressed at their ability to quickly dive into the shrubs and nab one of those fast moving geckos. 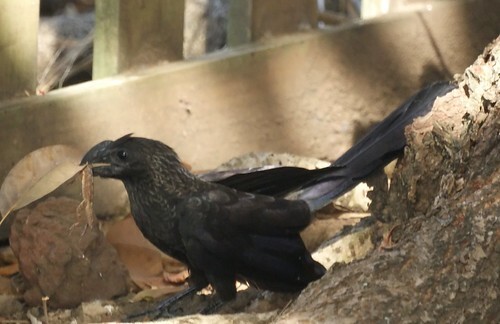 The Ani looked particularly awkward when its tail and wings blew around a bit in the wind.